HCMC – Viet Motion Technology Advisory and Investment Company Limited has become the sole franchisee of Arkki educational model of Finland in ten South Asian countries including Vietnam to provide children with integration skills. Speaking at a recent meeting with partners in HCMC, Nguyen Phi Van, investor and advisor of Viet Motion Company, described the architecture-based model as an effective solution for children to contact and learn from others in the region via discussions and field trips. The model will help children not only build relations with foreign friends at an early age but also exchange cultures. Van said the application of the Arkki model based on architecture is a way to efficiently introduce the STEAM platform consisting of Science, Technology, Engineering, Arts and Mathematics. It also provides children and the youth aged from four to 18 with skills and knowledge to develop creativity and eloquence, and solve complicated problems that are needed in the future. As scheduled, Viet Motion is slated for June to open the first class at Saigon Innovation Hub and a five-day camping trip in HCMC. Viet Motion will cooperate with UNICEF in HCMC to organize a program themed Smart City in children’s eyes with 11 camps for children to design a smart city from their own perspectives. 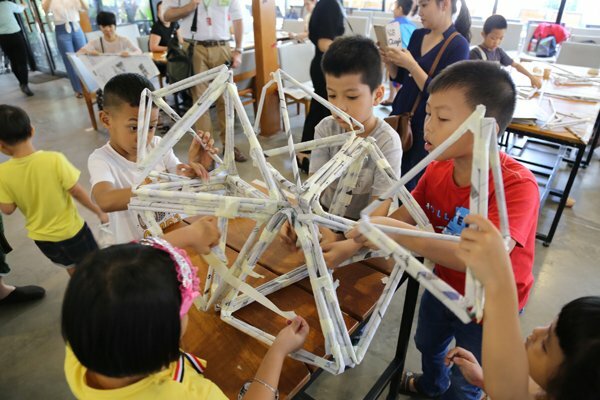 Van said that to develop Arkki model in Vietnam, Viet Motion will initially join hands with private schools to introduce the model via extracurricular activities and arrange some short camping trips to encourage children to attend these activities.